The viaduct currently carries approximately 500 cyclists a day. 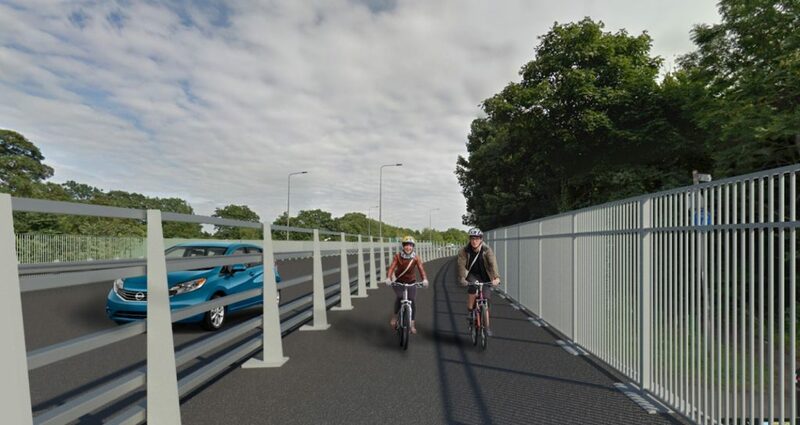 As well as undertaking essential maintenance work on the viaduct, we will also make improvements for cyclists and pedestrians by creating a new footpath as an extension to the viaduct. This will be in the form of a two metre wide cantilever composite bridge. Where there is currently no barrier between the existing footpath and the carriageway, we will be adding a barrier between the new path and the carriageway to reduce the risk of collisions with vehicles. 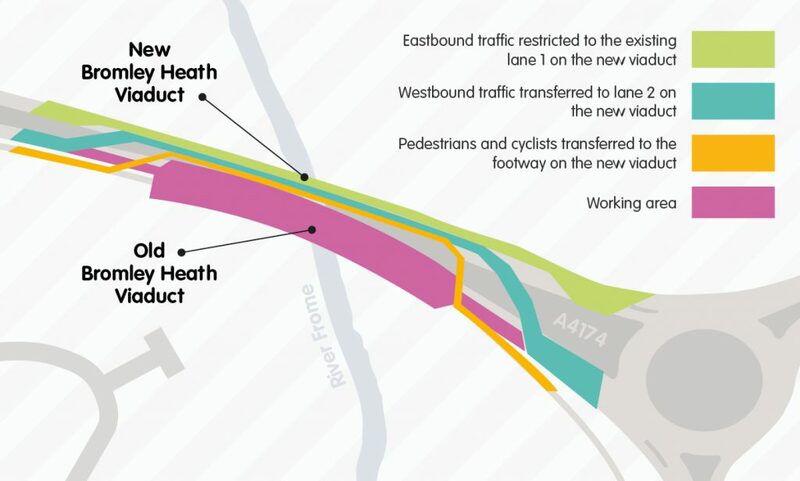 The scheme will provide a high standard and safer shared use facility and two-way path. In isolation, this work would normally take up to a year but we are taking the opportunity to undertake this work at the same time as the essential maintenance work is being carried out to help minimise the work programme and share construction costs and resources, as well as minimising the impact and duration of work to residents, commuters and businesses. This element of the work is funded through the Cycle Ambition Fund, from the Department for Transport. During the work programme, cyclists and pedestrians will be directed through the contraflow on the ring road. 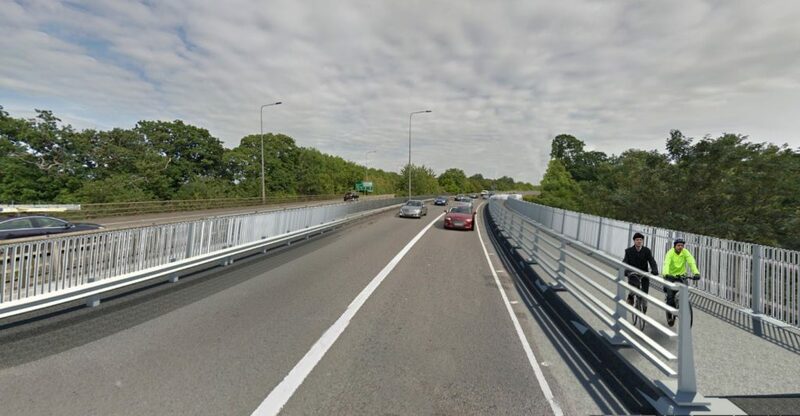 A separated pathway with a barrier from the main carriageway has been created and will begin after traffic has joined the contraflow and end before traffic rejoins the main carriageway.